Earlier this week when I got scared about my upcoming Everest Base Camp trek you guys really pulled through and made me feel a whole lot less scared. I can’t thank you enough. 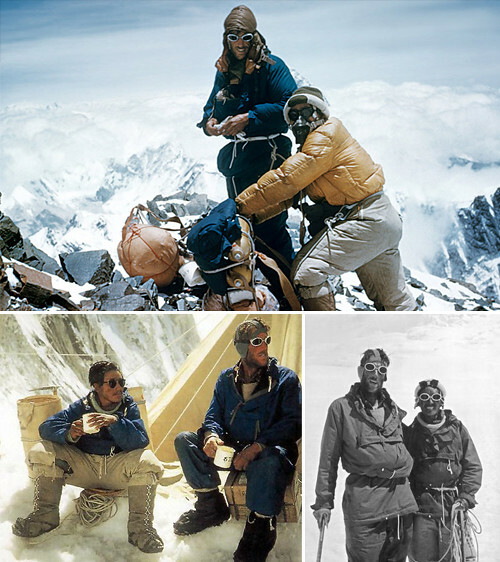 Blog reader Caitlin sent me a link to this post featuring Edmund Hillary and Tenzing Norgay, the first to summit Everest, knowing I’d appreciate the design aspect of it. And boy did I! Not only did these photos above blow my mind with their Sartorialist timelessness but they got me all sorts of excited about the trek.